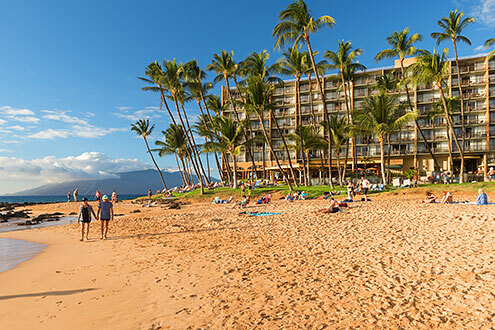 The mile long Keawakapu Beach is literally at your doorstep. One of Maui’s best beaches! Enjoy the many amenities at The Mana Kai like free parking, free wi-fi, on site pool, gas BBQ grills, 5 Palms restaurant, Zack’s deli, convenience store, activity rental shop, free on-site fitness center and gym, on-site yoga studio and an activity concierge where you can book many excursions for snorkeling, whale watching, diving, zip line and more. The Mana Kai Maui has everything to help create your perfect vacation and make you feel right at home. 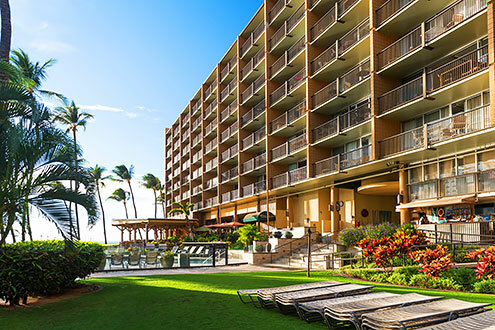 The Mana Kai Maui condo complex is an eight-story resort situated right on a beautiful white-sand cove of the Keawakapu Beach, one of the best and also most kid-friendly beaches on Maui. Our condo is on the 5th floor with unobstructed views of the beach, ocean and outer islands. One of the best snorkeling reefs is just steps away, and you are within minutes from upscale shopping and restaurants in Wailea or more affordable, Kihei. Golf courses and tennis courts are nearby. See our VRBO page for reviews and Photos. This amazing newly renovated two bedroom condo has breathtaking ocean views, brand-new everything including appliances and top of the line luxury mattresses and bedding! Located on the fifth floor giving you stellar ocean views. The property is oceanfront situated on one of the most beautiful beaches of Maui, Keawakapu beach! The condo is a 2-bedroom unit with a California king size bed in the main suite and a king size bed in the second room. The condo also has a full size sofa sleeper located in the main suite and the two sleeping areas can be sectioned off and made private by the sliding room dividers! In addition to that the two bedrooms can be sectioned off and very private to each other by using the hallway door if needed. There is a full kitchen in the main suite and a kitchenette in the second room. The full kitchen is equipped with a refrigerator, coffee machine, microwave, oven, dishwasher, all utensils and cookware are provided. The kitchenette is equipped with a coffee machine, microwave, refrigerator, all utensils and dining ware are provided. 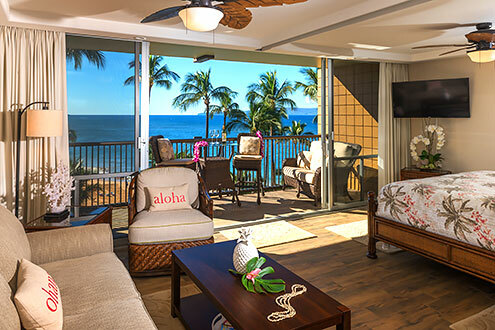 There is and ocean view Lanai (patio) off of the main suite that is equipped with a table and patio furniture to relax and take in the ocean views! All beach towels and pool towels are provided along with some beach equipment including, snorkel gear, boogie boards, beach chairs, sand toys, coolers and more! Located on one of the best beaches on Maui, this 2 bedroom, 2 bathroom condo is perfect no matter what you want out of your vacation. A recently completed major remodel brings full A/C to both of the bedrooms, fully updated kitchen and bathrooms and tile throughout the unit. • Private second bedroom, complete with a separate bathroom, mini fridge and a coffee maker. • Steps away from one of the best snorkeling reefs on Maui. • Only minutes away from World-class golf courses of Wailea and Makena. • An activity desk right in the hotel lobby to help you reserve excursions, helicopter rides, whale watching tours, water sports and more! • Upscale shopping and restaurants in nearby Wailea or more affordable, Kihei Town. • One of the best views on Maui: panoramic, completely unobstructed, stretching over the world famous Wailea coastline, gorgeous mountains and indescribably beautiful sunsets. • Spacious furnished lanai, equally perfect for a morning cup of Kona coffee, reading, whale watching or a romantic sunset dinner. • Living room sliding glass doors that open up to unbelievable view and fresh ocean breeze. – Five Palms Restaurant & Bar with a wonderful Happy Hour and possibly the best sushi you’ve ever had. • Miles of white sand beach for long walks at sunset.